Just a note to myself for future reference... anytime you get a call on a Thursday for an elopement ceremony on Sunday (just three days later), DO IT! 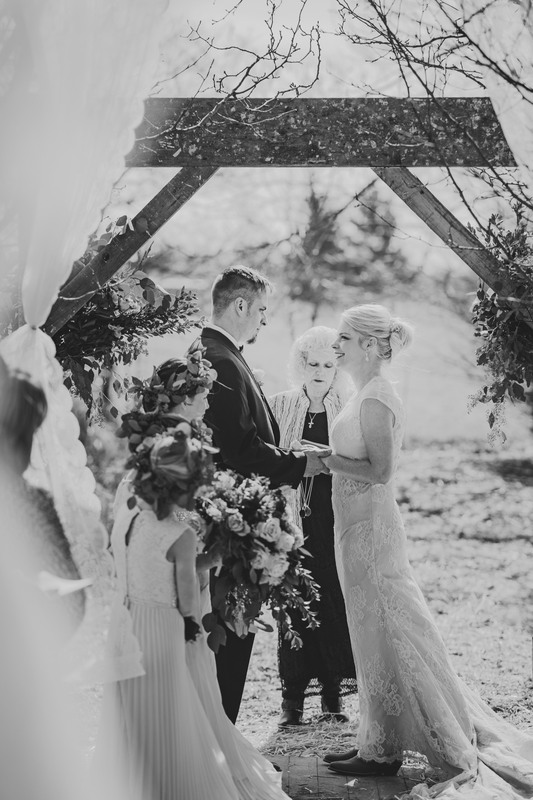 Because if you do, you might end up at an amazingly beautiful and intimate ceremony like the one you shared with Cortnee and Joe on their farm in West Union, Ohio. It was as simple and sweet as you could ask for. Cortnee and her daughters. Joe and his. Add Cortnee's mother and an officiant and that's all you need. They were married in the winter sunlight, then we tramped through the mud in our boots for a portrait session around the grounds of their rustic farm. Days like this are the reason I love being a wedding photographer more than anything.